When you move out of a rental home or apartment, one of the biggest priorities is getting back your deposit. Landlords usually require a deposit before you move in that will either be subtracted from for any necessary repairs after you leave or will be fully reimbursed to you if everything is in the same shape as when you moved in. 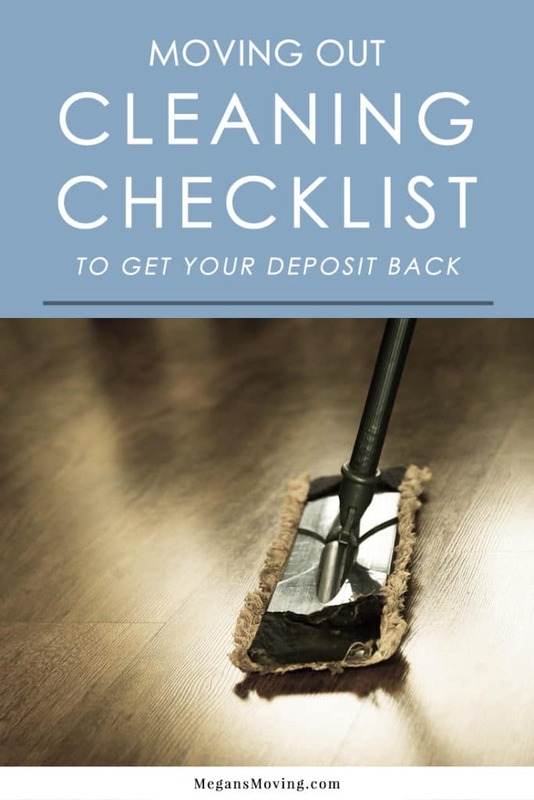 To get back your deposit, it’s important to take good care of the home while you’re living there, but when you move out, it’s just as important to give it a good, deep cleaning, even if you have maintained it well over the course of your stay. We recommend having it professionally cleaned. If that’s not in the budget, though, take a few hours to go about the house or apartment and clean every nook and cranny. Follow this checklist and you’ll greatly improve your chances of getting back your full deposit.